Located inside City Square Shopping Centre in the East Tower on the 6th floor. When you set your appointment, please tell us if you require service in a language other than English. 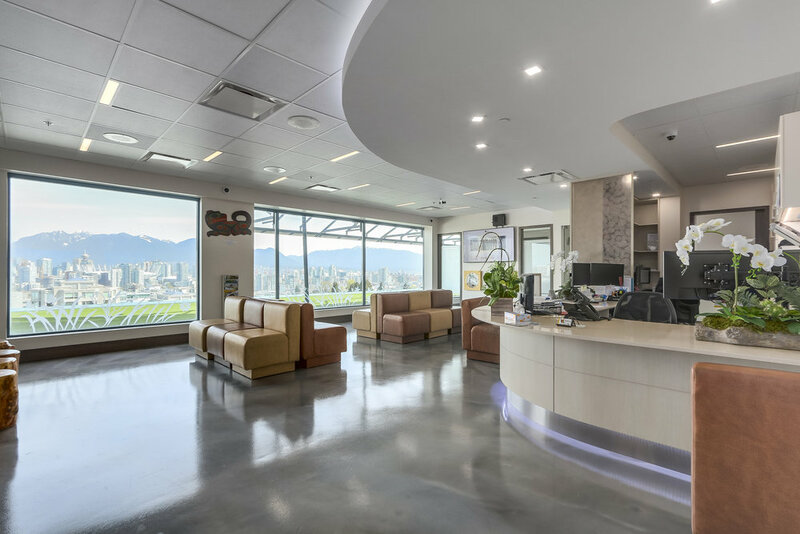 Our Vancouver Dental Centre is located on the NW corner of Cambie and West 12th Avenue, across the street from Vancouver City Hall. Vancouver's welcome area is a truly spacious area that has big screen 4K TV's, interactive projection games, and boasts a magnificent view of the Downtown skyline. The main Play Area is equipped with the latest iPad games, a treasure tower, and HD cartoon channels. 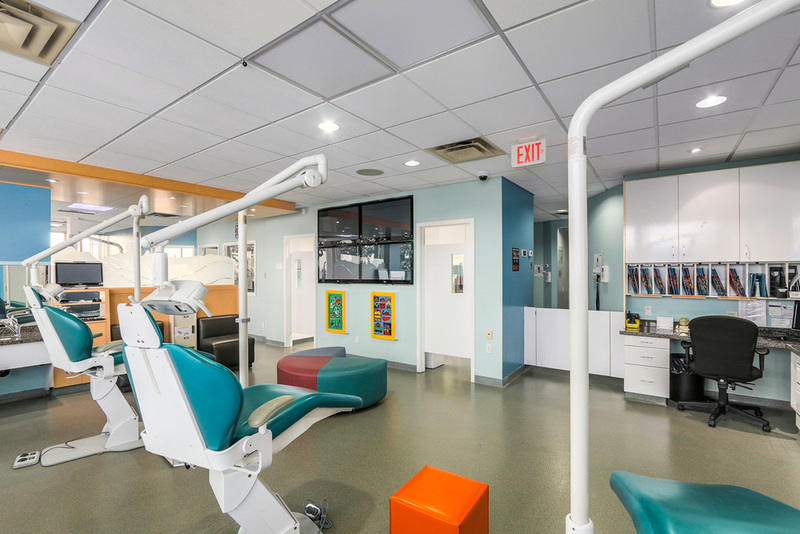 The Clinic Area has the latest equipment and is patient and parent friendly with a view of the city and a large projection screen that runs across the ceiling. Dentists for kids in Burnaby, Vancouver, New Westminster, north vancouver & Richmond. Located one block east of Metropolis at Metrotown. 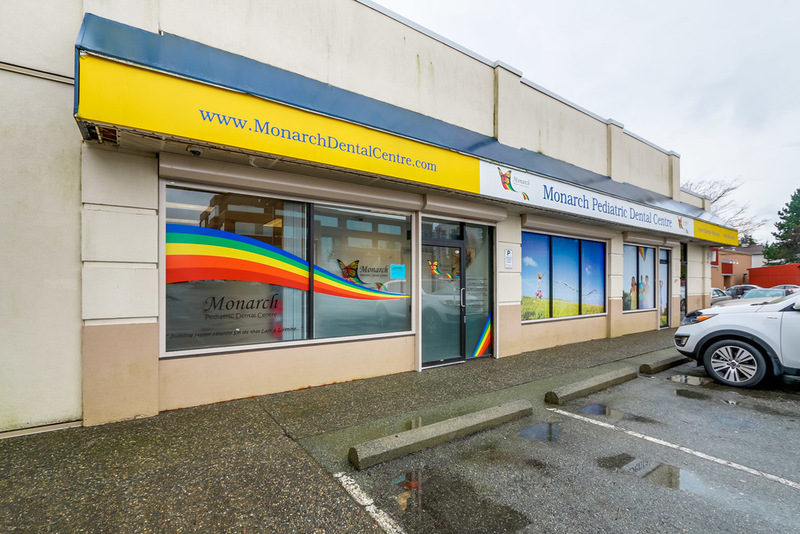 Our Burnaby Dental Centre is located on the SE corner of Kingsway at Nelson, 1-block east of Metropolis at Metrotown. Burnaby's Welcome Area is an open space with plenty of seating, magazines & big-screen LCD TVs. Burnaby's Play Area has wall-mounted toys, books, iPad games & a Treasure Tower for kids after their visit. 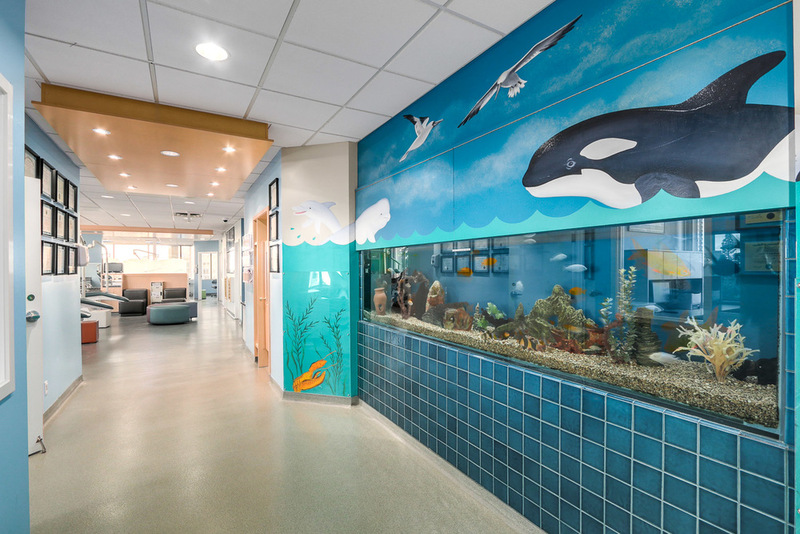 Burnaby's Clinic is a patient & parent friendly area with a huge freshwater fish tank, ceiling-mounted LCD TVs & plenty of seating. Private rooms available. DENTists FOR KIDS IN port moody, coquitlam, port coquitlam, new westminster & pitt meadows. Located in the heart of Port Moody's Newport village. Our Port Moody Dental Centre is Located on the NE corner of Newport Drive at Ioco Road in Newport Village. Port Moody's Welcome Area is an open space with plenty of seating, magazines & big-screen LCD TVs. 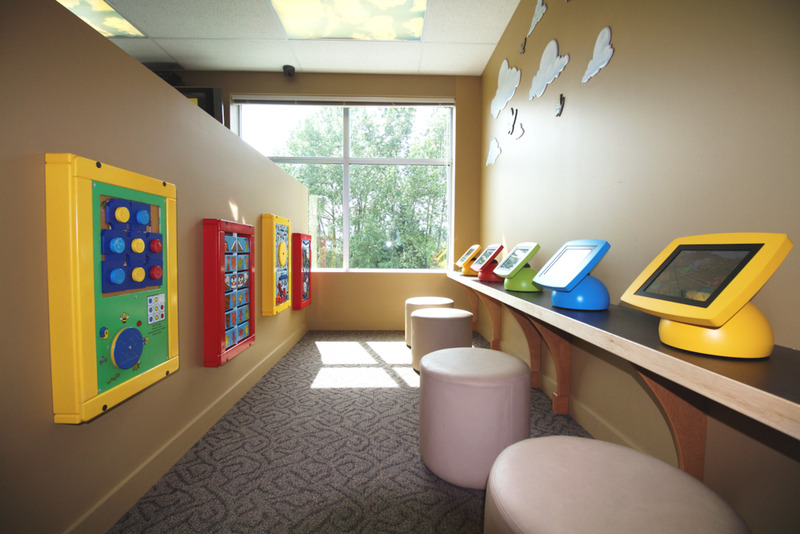 Port Moody's Play Area has wall-mounted toys, books, iPad games & a Treasure Tower for kids after their visit. 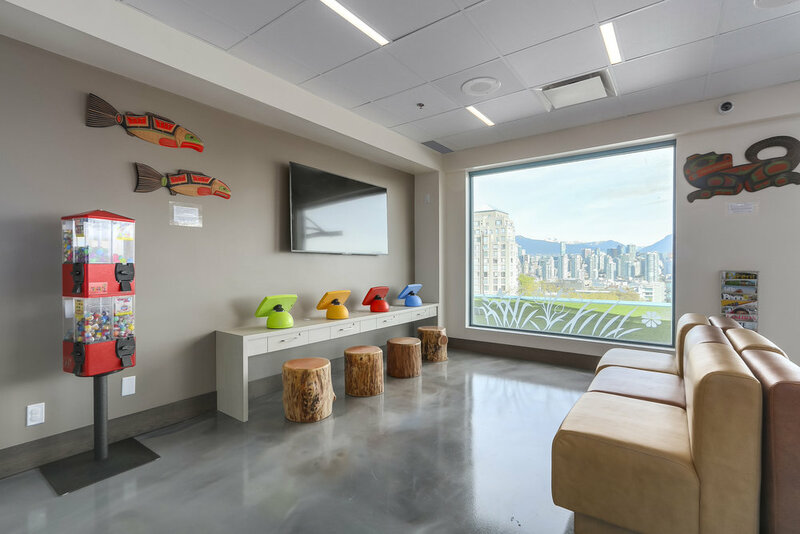 Port Moody's Clinic is a nature-themed patient & parent friendly area with ceiling-mounted LCD TVs, plenty of seating. Private rooms are available. DENTists for kids IN Surrey, south surrey, white rock, CLOVERDALE & Langley. Located 2 blocks south of Guildford Town Centre. Our Surrey Dental Centre is located on 100 Avenue, just west of 152 Street - 2 blocks south of Guildford Town Centre. Surrey's Welcome Area is an open space with plenty of seating, magazines & big-screen LCD TVs. Surrey's Play Area has wall-mounted toys, books, Sony Playstation games & a Treasure Tower for kids after their visit. 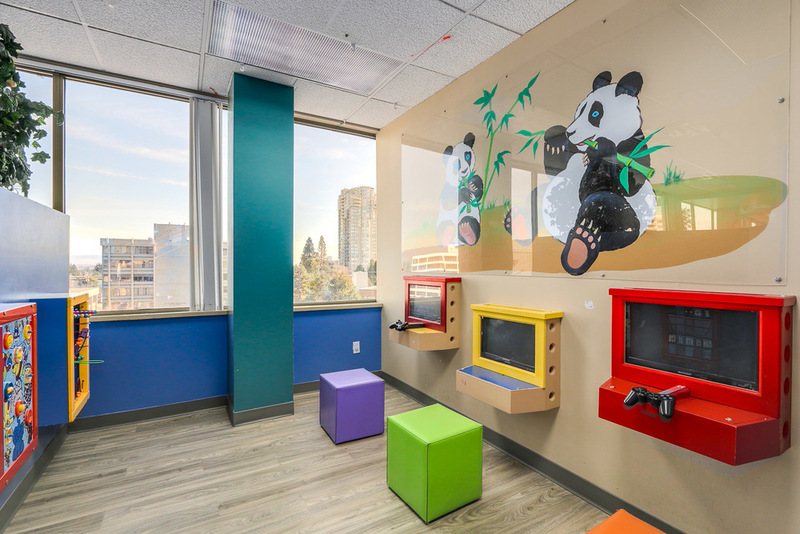 Surrey's Clinic is a jungle-themed patient & parent friendly area with ceiling-mounted LCD TVs, plenty of seating. Private rooms available.